Wow, you ladies are amazing! 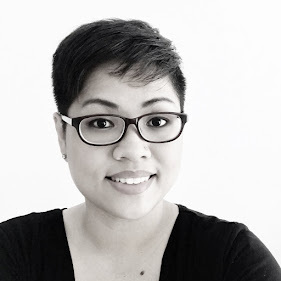 Thank you so much for dropping by my humble blog and left me lots of love at the last post. Is amazing to start the new year that way, having blogger friends to come by and keep on encouraging me! Thank you my friends! 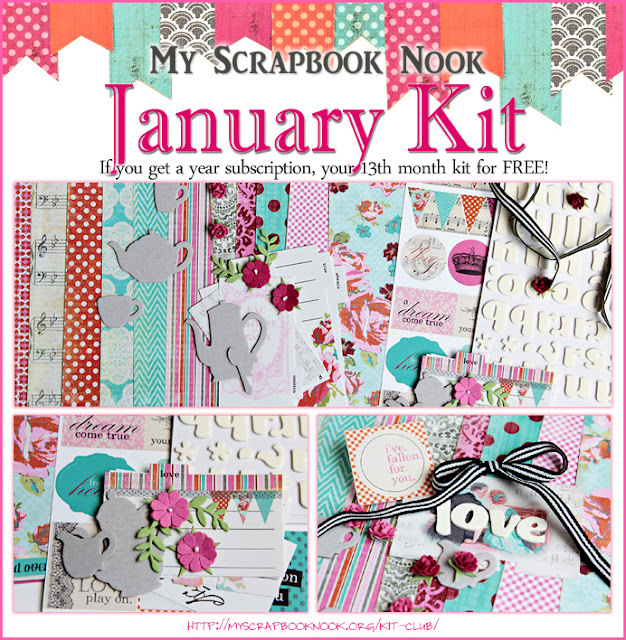 Over at the Nook in Jan, we have this beautiful kit for ya! 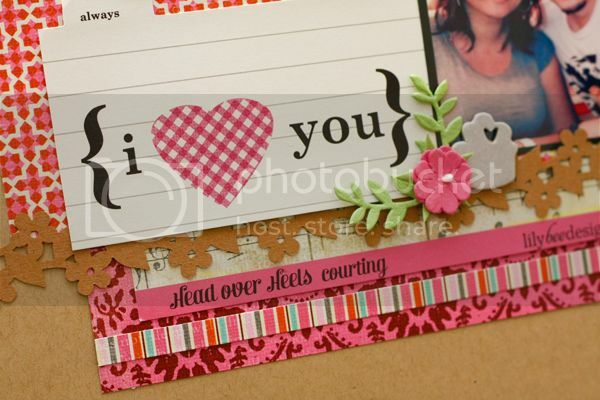 It is filled with the new Lily Bee Designs : Head Over Heels collection. 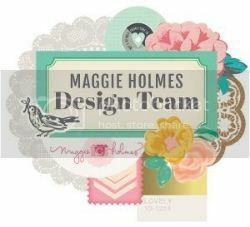 Perfect for any theme and of course for V-day :) Today I am back with layouts I created for Nook. I managed to pull 5 layouts in one & half day. It's more of getting my mojo back because I didn't scrap for almost a month and it was tough to start those creative juices coming. My layouts are mostly in blocking style. At least it gave me some sort of push to keep on creating. That's my baby boo, Tuffie. Somehow we have this special connection with each other. He is especially attached to me and I just love Tuff to bits!! That's a recent photo of myself and Mr.Handsome! We took it during our lil Christmas break at Penang. How time flies and my hair grew longer, oh well if you noticed. Haha. Do come back soon as I will be sharing with you the rest of my layouts. 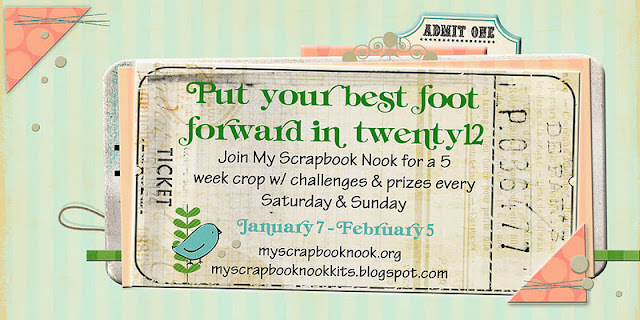 Guess what, The Nook is hosting a 5 week crop starting January 7! It's going to be so much fun. Our top ten challenges spread out with 2 challenges every weekend...and then you will have a whole week to finish them.There's also some fabulous prizes up for grabs!! Be sure to check out the forum and the blog for more details ;) You'll be seeing lots of this gorgeous kit in our crop (there's a special deal on this month if you sign up for a subsription). Oh yeah, I have also chosen my one little word this year, it's CHANGE. Lots of major changes I need to do especially with myself. I need to change my diet & exercise (having PCOS for a while now and time to control it) & of course lots of soul searching. So what's your OLW for 2012? These are lovely!! what a fabulous kit! love the products on Kraft and the love the colourful splatter! That kit is really fresh and adorable! I am tempted now! Your layouts are very cool! Hmm... that kit... so so eye candy!! 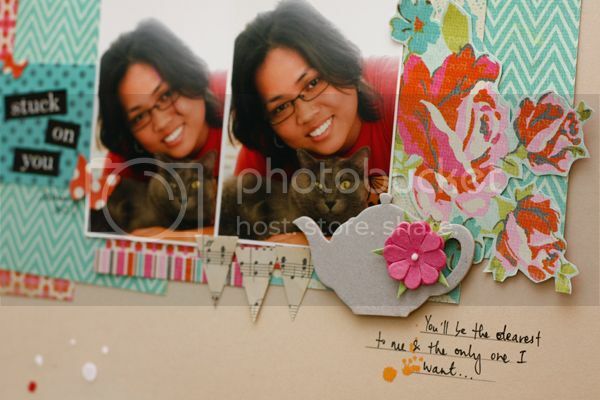 Gorgeous layouts, Jessy!! I love the neutrals combined with the bright colors! Fabulous designs! Hey hey!! Happy New Year!!! Those layouts are super nice! Love the colours! You are a stunner! I love that you are so photogenic! That kit looks scrumptious, you are tempting me to buy! The pages you made are a delight!